Rare memorabilia from some of the biggest names in music, including Kurt Cobain's credit card, Frank Sinatra's license and U2's set list are now on sale at Paddle8's Legendary auction, which ends on February 26th. Expired credit cards are usually broken in half and thrown in the trash but not if it has once belonged to a rock legend like Kurt Cobain. 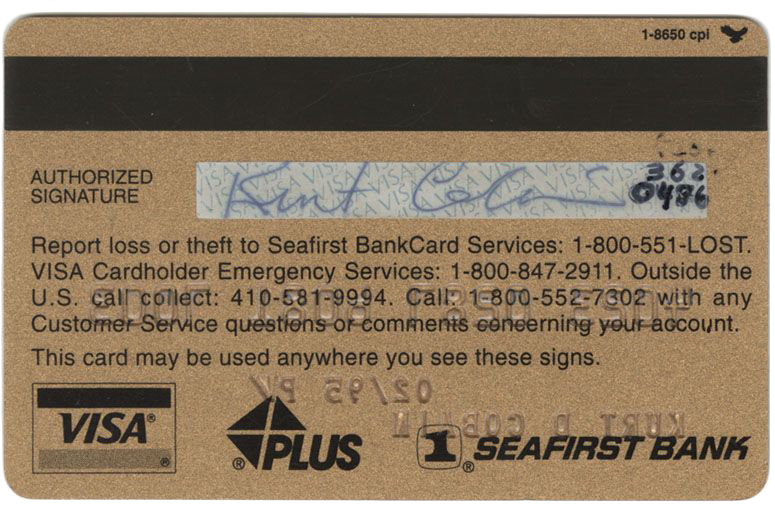 His old Visa card is now for sale along with other cool memorabilia pieces. The card is expected to fetch between $7000-9000.